When looking at the systemic causes for problems we see in the team, we need to take into account many aspects: trust, metrics, conversations, relationships. Where to start? Richard suggests that we look at the Comparative Agile diagnostic and the Agile Fluency model and diagnostic. But of course, those are just starting points. A lot of the work needed to identify systemic problems is to listen to the conversations happening in the team, and with stakeholders. In this episode, Richard describes the process he uses to observe and analyze the conversations happening in the team, so that he can pinpoint systemic problems. Richard’s perspective is that our Scrum Master success is directly linked to the success of our teams. That much we can all agree. But how do we get there? We discuss the perspective that we need, as Scrum Masters, to help our teams achieve a successful outcome. 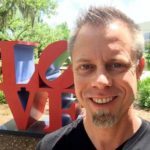 In this episde we discuss the “Turn up the good”, an Agile Maxim by Woody Zuill (Check out this interview with Woody Zuill for the details) as the directive for constant change, and improvement in our work with teams. One possible tool to use when helping teams focus on the good things, and how to improve them further, is the practice of distributing Kudo Cards from Management 3.0. In many organizations there is a history with Agile. Some might have already tried a few waves of Agile and are affected by the past results. So how do we help teams that “don’t like” Agile? Or Scrum? In this episode we explore what it might look like to introduce Scrum without mentioning the technical terms we often associate with Scrum. In this episode we refer to the Scrum Master Toolbox BONUS episode with Johanna Rothman. The 1-on-1 meetings are a staple of management practice today. But are they really a great idea when we develop software as teams? In this episode we discuss a case that illustrates why the 1-on-1 meetings are not really a good idea when you want to solve intra-team conflict. In this episode we talk about the Check-in Protocol, one of the Core Protocols to which we refer regularly in this series of interviews with Richard. 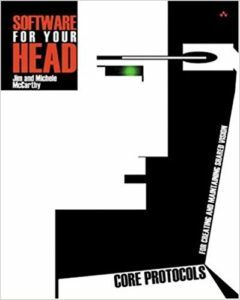 This week we explore Software for your Head, by Michele and Jim McCarthy, where they explore the aspects that contribute to successful software development teams. This is also the book that introduced the Core Protocols, which we refer to extensively in this series of interviews with Richard.